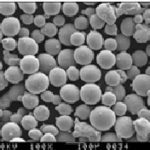 Self-fluxing materials are first applied using a thermal spray process, such as combustion powder Thermospray, atmospheric plasma spray, or High Velocity Oxygen Fuel (HVOF) spray. While the coatings can be used “as-sprayed,” post-coat fusing is recommended to coalesce the coating. For situations when post-coat fusing may distort the component or the substrate cannot tolerate the heat of the fusing process, self-fusing materials are a good alternative. These materials partially coalesce during the spray process without requiring a post-coat fusing. Glass mould, various casting dies. HVOF, Seal surface, punch,valve, piston etc. HVOF, Seal surface, oil plunger and shaft etc. HVOF, good corrosion resist, high hardness, good wear resist performance, low friction coefficient. HVOF,fix, impeller, piston, valve etc. HVOF, higher hardness than Ni60A, wire roller, plunger, conveyor roller etc. HVOF, excellent fatigue resist, used to non-high reqiurement of hardness normal repeat inpact. HVOF, use for reairing valve sealing surface and repairing the war parts. HVOF, harrow pieces, hoe tooth,petroleum drill pipe, scraper shaft.